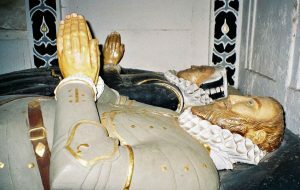 1) (Isleham, co. Cambridge; created a bart., 1611, dormant 1815; Martha, dau. and eventual heiress of Sir John Peyton, third bart., to. George Duncombe, Esq., of Shalford, co. Surrey). (Virginia, America; claiming to be descended from, and entitled to the baronetcy of Peyton, of Isleham). (Knowlton, co. Kent; bart., extinct 1683). Sa. a cross engr. or. Crest—A griffin sejant or. Motto—Patior, potior. 2) (Doddington, co. Cambridge, bart.). Sa. a cross engr. or, in the first quarter a mullet ar. Crest—A griffin sejant or. Motto—Patior, potior. 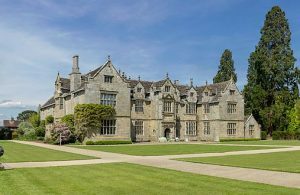 3) (Wakehurst Place, co. Sussex; borne by Joseph John Wasehubst Peyton, Esq., of Wakehurst Place, sou of the late John Rittson Peyton, Esq., Captain R.N., grandson of Admiral Joseph Peyton, and great-grandson, by Katherine Strutt, his wife, of Admiral Joseph Peyton, who inherited the estate of Wakehurst from his maternal ancestors, the Lyddells). 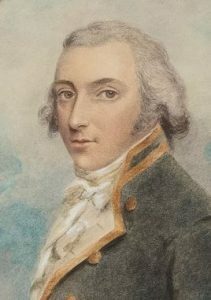 (Commodore Sir John Strutt Peyton, K.C.H., of Yealmpton, co. Devon, knighted in 1837, son of William Peyton, a younger son of Admiral Joseph Peyton, by Katherine Srtutt, his wife). Sa. a cross engr. or, in the second quarter a mullet ar. Crest—A griffin sejant or. Motto—Patior, potior. 4) (granted 24 July, 1641). Same Arms, a bordure erm. 5) (co. Lancaster). Ar. three magpies ppr. 6) (co. Brecknock). Vert a hind couchant ar. 7) (Sutton Coldfield, co. Warwick. Visit. 1619). Sa. a cross, engr. or, a mullet ar. 8) (Fun. Ent. Ulster’s Office, 1612, Christopher Peyton, Auditor at War and of the Revenue). Sa. across engr. or, in the first quarter a mullet ar. 9) (Laheen, co. Leitrim). Same Arms. Crest—A griffin sejant or. Motto—Patior, potior. 10) (Driney House, Drumcong, co. Leitrim). Same Arms and Crest. 11) (Sutton Coldfield, co. Warwick; confirmed by Lennard and Vincent to Walter Payton, of Sutton Coldfield, fifth in descent from John Peiton, of Peiton Hall). Sa. a cross engr. or. Crest—A griffin sejant or. This English/Irish last name has seven origin theories or meaning, most of which are habitational or locational. This is a high number of origin theories in terms of ancestry research. First, it may mean “of Peyton”, a chaperly in the parish of Bampton. Second, it can be a spelling variant of the surname Payton, which is also a locational name meaning “of Payton” a township in the parish of Leinwardine county Hereford. Third, it can be an Anglicized version of of the name Paton or Patton, found in Connacht, Ireland, as well as county Mayo. Fourth, it may be a name referring to descendants of Pate, which was a pet form or nickname for the old personal (first) name Patrick, meaning noble of patrician). Fifth, it may be a name for a person who came from Peyton (Paega’s homeland), which was a small town near Boxford in county Suffolk. One source asserts this Suffolk family descended from William Mallet (died 1091 AD, realted through marriage to Aelfgar, Early of Mercia), one of William the Conquerors favorite companions/knights who fought at the Battle of Hastings in 1066 AD., and from the Uffords, Earls of Sussex. In regard to this origin theory and surname meaning, Mark Antony Lower, in his nineteenth century book Patronymica Brittanica, states “The first of the family who assumed the surname was Reginald de Peyton, lord of Peyton in the parish of Boxford, co. Suffolk, in which county, at Isleham, in later centuries, his descendants were very eminent. In medieval charters, this surname was latinized De Pavilliano and Pietonus”. Sixth, it may originate from the village of Peyton in county Essex, spelled in the Domesday Book of 1086 AD, a survey of Wales and England ordered by William the Conqueror, as Pacenhou. Said book also records a place named Peintuna. The village names translate as Pacca’s Land, with Pacca being an Old English given name. Seventh, another source states the name means “of Paythorne”, a locale in county Yorkshire. Common spelling variants or names with similar etymologies include Payton, Peytone, Paeyton, Peton, Poyton, Paiton. The last name Peyton ranks 3,344th in popularity in terms in the United Status as of the 2000 Census. The name ranks particularly high in the following seven states: Kentucky, Virginia, Ohio, Maryland, Mississippi, Iowa, and West Virginia. The surname Peyton frequency/commonness ranks as follows in the British Isles: England (7,652nd), Scotland (5,546th), Wales (9,097th), Ireland (1,985th) and Northern Ireland (3,642nd). In England, it ranks highest in Gloucestershire and Cambridgeshire. In Ireland, the surname Peyton ranks highest in counties Roscommon and Mayo. The name is also present throughout the remainder English speaking world: Canada (7,404th), New Zealand (14,946th), Australia (16,478th), and South Africa (24,304th). The earliest known bearer of this surname was Mathew de Peytun who was documented in the Court Fees of Colchester, Essex in 1240 AD. John de Payton was recorded in Essex in 1292. Edmund Peyton was recorded in London in 1389 AD. The Register of the University of Oxford documents Edward Payton in county Warwick in 1594 AD and Samuel Payton in county Kent in 1606 AD. An early marriage involving this surname was James Payton to Sally Watmer at St. George’s Hanover Square in 1779 AD. The book Supplement to Irish Families, published by Edward MacLysaght in 1964, states the following in regard to this surname: “The prominent landed family of Laheen, Co. Leitrim, however, descend from an English clergyman Rev. 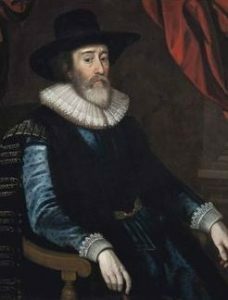 Thomas Peyton, who became Dean of Tuam in 1625. Among the more prominent men of the name in Ireland were Christopher Peyton, who carried out the Desmond Survey which bears his name in 1586 and Sir John Peyton, surveyor general (Ordnance) 1684”. The famous genealogist Bernard Burke’s book “The Landed Gentry” discusses one branch of this family, Peyton of Laheen, and the Baronet Peyton is discussed in other renowned work “Peerage and Knights”. James Reynolds Peyton was an Esquire of Laheen in county Leitrim born in 1843 who was a Justice of the Peace and he succeeded his brother in 1875. Burke traces the Peyton genealogy back to Reverend Thomas Peyton, Prebendary of Kinvarra, in Catherdal of Colnfert, who was also Rector of Ballin. His son was John Peyton, Esquire of Boyle in county Roscommon, who married Catherine, daughter of Humphrey Reyonlds, Esq. of Loughseur in county Leitrim by Russell his wife, daughter of Sir James Ware. They had three children together: Humphrey, George (of Steamstown), and Oliver. His eldest son Humphrey married a woman named Elizabeth and he had issue with her: James (Esquire of Driney House, married Catherine Reynolds and had sons George and James), 2), John (of Laheen), Elizabeth Arnold, and Catherine. His son and heir was John Peyton of Laheen, who was High Sheriff and a Lieutenant-Colonel in the Leitrim Militia , was born in 1759. 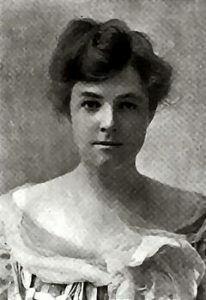 He married Mary, daughters of George Nugent Reynolds, and had two issue with her: John and Jane (married John Lambert). 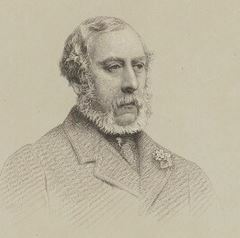 The son John Reynolds Peyton, Esquire of Laheen, married Louisa, daughter of Samuel Scott of Dublin, and later Alicia, daughter of Andrew Ellis of Roebuck in Dublin. He had two sons: Richard Reynolds and James Reynolds, the latter which is mentioned at the beginning of this paragraph. 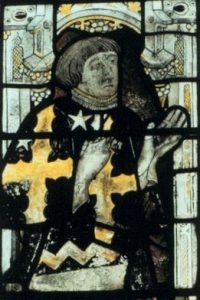 The Peyton Coat of Arms (sometimes erroneously called the Peyton Family Crest) is blazoned in heraldry as follows: Sable, a cross engrailed or, in the first quarter a mullet argent. Crest: A griffin sejant or.They resided at Loughseuar, Cashcarrigan, conty Leitrim. Sir Algernon Thomas Peyton, 7th Baronet, was of Doddington, county Cambridge, who was Deputy Lieutenant and Justice of the Peace educated at Eton. He was a Lieutenant Colonel, Captain of the Oxford Yeomanry, and served in the World War I in the 11th Hussars, and he was wounded in said war. He was born in 1889 and succeeded his father in 1916. 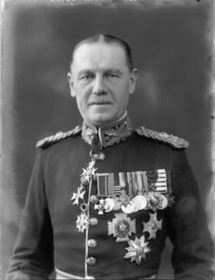 In the same year, he married Joan Stratford, daughter of John Stratford Dugdale, and had the following issue with her: John Henry (Lieutenant who served in World War II where he was killed in action), Della (born 1916, married Major Benjamin Barnett), and Elizabeth Rosamond (born 1919, married Captain John Nigel Bingham of the Coldsteam Guards). Burke traces the Peyton genealogy or Peyton ancestry back and state the pedigree of the family is given in his other book, titled Extinct and Dormant Baronetcies. Sir Sewster Peyton, 2nd Baronet of Doddington in county Cambridge, was the only son and heir of Sir Algernnon Peyon, 1st Baronet, created so in 1666. Sewster married Anne, daughter of George Dashwood of London, and had four issue with her: Sir Thomas (3rd Baronet), Henry, Anne (married Richard Dashwood of Cockley Cley, her cousin), Margaret (married her cousin George Dashwood). He was succeeded by his eldest son, Sir Thomas Peyton, 3rd Baronet. In 1738, he married Bridget, sister and heiress of Thomas Skeffington, and he died without issue in 1771, where the Baronetcy expires and the estates devolved to his nephew, Sir Henry Dashwood Peyton, 1st Baronet, a Member of Parliament for Cambridge who became the heir of Doddington, and in accordance with the injunction, assumed the arms and surname Peyton. He was created a Baronet in September of 1776. In 1771, he married France, daughter of Sir John Rous (Baronet of Henham Hall), and had issue with her: Henry (2nd Baronet), Reverend Algernon, Louisa (married David Pennant of Downing in Flint), and Harriet (married Thomas Kingscote of Randalls in Surrey). Burke continues the Peyton pedigree and Peyton genealogy for several more generations. The Peyton Coat of Arms (mistakenly called the Peyton Family Crest) has the following heraldic blazon: Sable, a cross, engrailed, or; in the 1st quarter, a mullet argent. This branch of the Peyton family tree was seated at Swift’s House, Blecester, county Oxfordshire. 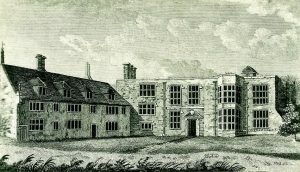 The book , A Topographical History of England by Lewis Samuel, published in 1848, states the following in regard to this last name: “The manor was one of the ancient estates of the church of Ely, and was alienated by the Bishop Heton to the crown in 1600; it soon afterwards became the property of the Peytons, who appear to have been settled here nearly a century before, as lessees of the shop. John Peyton was created a Baronet in 1660, and dying without issue, his next brother, Algernon, was advanced to the same dignity in 1666. The title again became extint in 1771, of the death of Sir Thomas Peyton, who was the last mail hair of the family, Henry Dashwood, Esq. 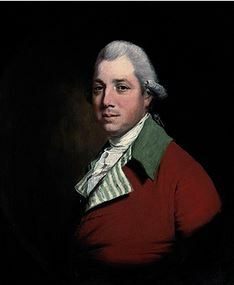 whose father had married a daughter of Sir Sewster Peyton, succeeded to the estate and took the name of Payeton by act of parliament, and was created a baronet in 1776”. Henry had a son named Valentine Peyton who was born in London, England in 1627. 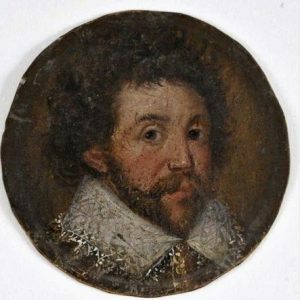 He went to Virginia and married Frances Gerard Hardwick, with whom he had the following issue: Frances, Gerrard, and Judith (King). His son Gerrard was born in 1661 in Westmoreland, Virginia. He had a daughter named Hannah Elizabeth (Foster). James Peyton was born in Virginia in 1762. He married Elizabeth Cox and had the following issue with her prior to his 1817 death in Kentucky: Washington, Lewis, Sarah (McGlocklin), James Jr., William, Elizabeth, and Peter Sr. Early settlers in colonial America bearing this name Henry Peyton (Virginia 1659), Thomas Peyton (Maryland 1665), Valentine Peyton (Virginia 1665), Richard Peyton (Maryland 1676), Robert Peyton (Virginia 1694), George Peyton (Virginia 1748), and Anne Peyton (Virginia 1761). A one Henry Peyton (also spelled Payton) came to Virginia in 1624. He held a coat of arms granted in England and America, which were granted with both spellings. Two early bearers in New Zealand were Stanley and Selina Peyton, who came to the city of Wellington in 1860 aboard the Nimroud. 1) Sa a cross engr or Crest: a griffin sejant or. Major G. A. Barksdale used the Peyton arms on his bookplate. 1) Colonel Valentine Peyton, Westmoreland and Stafford counties, 1654, Cadet of the Peytons of Isleham. Sable, a cross engrailed or, in the second quarter a mullet argent, all within a bordure ermine. Crest: A griffin sejant or. 2) Major Robert Peyton of Isleham, Virginia, from Essex, England. Cadet of the Peytons of Isleham. Sable, a cross engrailed or. Crest: A griffin sejant or. Matthew’s American Armoury (1907) and Bluebook does not contain an entry for this surname. The Peyton family motto is Patior, potior, meaning “I endure, I enjoy”. We have 11 coats of arms for the Peyton surname depicted here. These 11 blazons are from Bernard Burke’s book The General Armory of England, Ireland, and Scotland, which was published in 1848. The bottom of this page contains the blazons, and in many instances contains some historical, geographical, and genealogical about where coat of arms was found and who bore it. There are hundreds of notable people with the Peyton surname. This page will mention a handful. Famous people with this last name include: 1) Balie Peyton (1803-1878) who was an American lawyer who became a congressman in the U.S. House of Representatives from Tennessee, 2) Herbert Hill (1932) who is an American billionaire born in Bowling Green, Kentucky who is the founder of Gate Patroleum, 3) John Wynne William Peyton (1919-2006) who was a British politician who was a Member of Parliament and the Lord Peyton of Yeovil, 4) Sir John Peyton (1544-1630) who was an English soldier, Member of Parliament, and Governor of Jersey, 5) Robert Ludwell Yates Peyton (1822-1863) who was an American politician, solider, and lawyer who served in the Confederate States Army and was a Confederate Senator from Missouri, 6) Charles Anthony Peyton (1922-2007) who was a member of the Harlem Globetrotters born in Elyria, Ohio, 7) General Sir William Eliot Peyton (1866-1931) who was a British soldier who fought in the First World War and Second Boer War, 8) Jane Peyton (1870-1946) who was an American actress from Spring Green, Wisconsin who acted in several long running Broadway plays, 9) Caroline Peyton (1951) is an American singer-songwriter born in Brookhaven, Mississippi who grew up in West Virginia, and 10) Kimberly Marie Peyton (1957-1986) was an American swimmer born in Hood River, Oregon who won a gold medal in the 1976 Summer Olympics. The main heraldic symbol in the Peyton Arms (erroneously called the Peyton Family Crest) is the cross engrailed. No other symbol appearing in heraldry is subject to as much variation as the cross. Mediaeval Europe was a deeply religious and Christian and many of the nobility wanted to show their devotion by adopting the symbol of the cross as part of the arms. Since no two arms could be identical there arose many variants of the cross, typically involving patterning along the edges. The pattern engrailed is a series of scalloped indentations with the points facing outwards – and should not be confused with invected, which has the points facing inwards! Wade believes that both of these indented forms represent “earth or land”, and one perhaps can indeed see the furrowed earth embodied in them. The two most prevalent tinctures (colors) are Or and Sable, with are yellow and black, respectively. Or signifies glory, faith, genorsity, and wisdom, whereas Sable signifies or means grief, prudence, constancy, and wisdom.